Grammy Award winner and beloved folk artist Judy Collins inspires audiences with her sublime vocals, her boldly vulnerable songwriting, her fascinating personal anecdotes and her firm commitment to social activism. In the 1960s, Judy evoked both the idealism and the determination of a generation united against social and environmental injustices. Five decades later, her luminous presence continues to shine brightly as new generations bask in the glow of her iconic 50-album body of work. Judy is universally admired for her imaginative interpretations of traditional and contemporary folk standards, as well as her poetically poignant original compositions. Her stunning rendition of Joni Mitchell’s “Both Sides Now” from her landmark 1967 album, Wildflowers, resides in the Grammy Hall of Fame. Her dreamy and sweetly intimate version of “Send in the Clowns,” written by Stephen Sondheim for the Broadway musical A Little Night Music, won “Song of the Year” at the 1975 Grammy Awards. Now 76 years of age, Judy is as creatively vigorous as ever, writing, touring worldwide and nurturing new talent. She is a modern day Renaissance woman who is also an accomplished painter, filmmaker, record label owner and musical mentor, as well as an in-demand keynote speaker for mental health and suicide prevention. 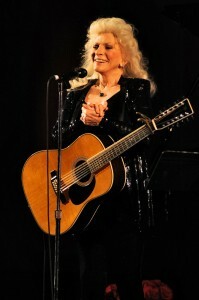 She continues to create music of hope and healing that lights up the world and speaks directly to the heart. time. Hailed by the Boston Globe as a “charismatic performer and singer”, Garnet is known for his “smooth, dark baritone” (Washington Post), his thoughtful, dramatic delivery, and his consummate guitar skills. 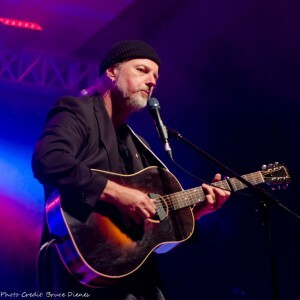 His passionate, cinematic songs give expression to “the unspoken vocabulary of the heart” (Kitchener-Waterloo Record). An optimist at heart, Garnet sings about people who are not obvious heroes and about the small victories of everyday life. His powerful music, engaging stories and lightning-quick wit move audiences from tears to laughter and back again.